So… I have finished my data collection and analysis. Or so I want to believe. I have interesting information that enables me to answer my research questions. I have identified key conclusions. I also have lots of extra data that I can use for other studies. It seems that I am all set to write my thesis, have my Viva, and get my PhD… But why do I feel that something is still missing? I cannot shake away that feeling… A PhD is supposed to provide a meaningful contribution to the academic community. Are my findings meaningful enough? How can I know? Meaningful for whom? Who is the academic community? Me? My participants? You? I would not be worried if I had a wow factor. A wow factor is very useful in academic writings. It is something that makes the audience think: Wow. I hadn’t thought of that before. If you have a wow factor, it is highly likely that your contribution is meaningful, or at least, that it will be regarded as such. Is achieving the wow factor manipulation or effective communication? That is another tricky question. And again, I am not sure what the answer is. I want to say: It is effective communication. And since that sounds nicer, that is my answer. But let me know if you disagree. I would love to know your reasons. Meanwhile I will look for my wow factor. I think my findings are interesting enough (but I am passionate about my work, so what else could I say?). I just need an effective way of communicating them and thus, making a meaningful contribution for the academic community. I recently came back to Leicester after five months in Mexico, where I was doing fieldwork. Before my trip, I had a plan and a timetable. … Sometimes things don’t go as planned. This was one of those times. I wanted to do lots of things, but I needed the help of potential participants. I soon realized that some people agree to collaborate but then don’t. Some wouldn’t even answer my emails right after looking for me to participate! I couldn’t understand… I also had a hard time finding an organization to do my research with. It took two months longer than planned. Fortunately, I eventually got a great company on board. 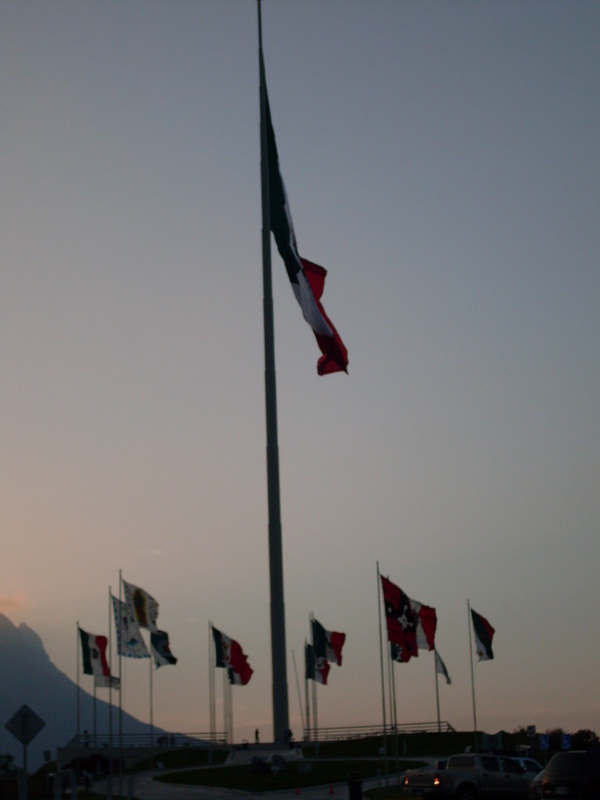 While I had a number of drawbacks, my time in Mexico was productive. I learned about risk analysis. I gave two conferences and two workshops. I finished writing an article, which I sent for review to a journal. I organized an international Symposium of Education and Technology. I collected data for my thesis. I networked. Maybe I didn’t follow my original plan, but it went well. Activities and times changed, but the goal remained the same. 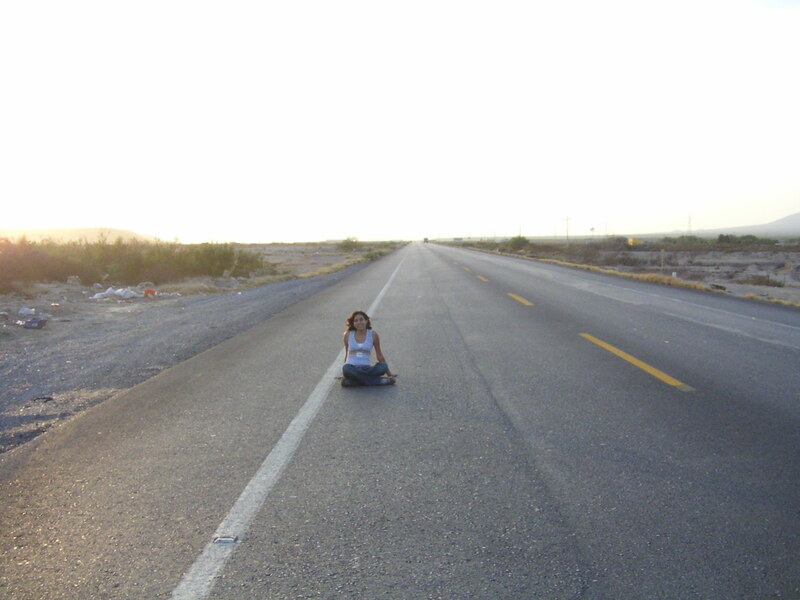 I’m still on track and will return to Mexico in April to complete my fieldwork. Have you ever noticed how some gurus in your field are never questioned? Have you ever noticed how some blindly accept as truth whatever authorities in your field say? Dr. X is the director of the Super Great Institute and a professor at a very important university. He has a PhD in Y and has done research for a zillion years. His studies, experience and reputation back him up. I do enjoy talking with academics in my area. I love it. I love sharing ideas. But I do question authorities if I do not agree with their ideas. They could be wrong, couldn’t they? When my parents finished their PhDs, they told me something they had learned: A PhD does not make you any less stupid. I have found this to be very true. 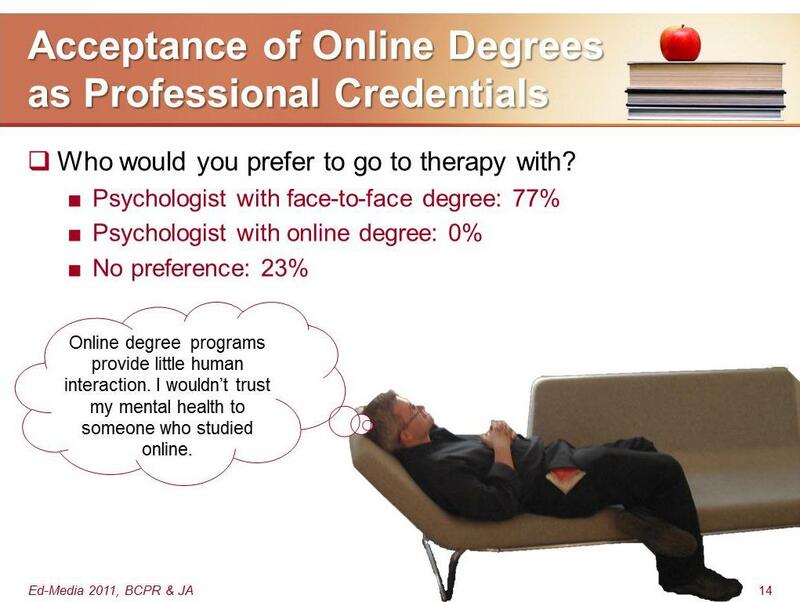 Having academic credentials and lots of research experience can help people to stay closer to the truth. But it is no guarantee of anything. People are bound to make mistakes. I can make mistakes. Dr. X can make mistakes. However, others do not mind being questioned, challenged. They even enjoy it! It can result in great academic conversations. Even if it might be annoying for some, I think that questioning authorities is ok, whether you are a colleague of Dr. X or a simple PhD student. Doing my PhD has been an adventure. I began with a very general idea of what I wanted to do. My work was fuzzy, vague. I was lost in a labyrinth of information. After doing a literature review and having several discussions with my supervisor, I was able to narrow down my topic to something specific and manageable… or so I thought. My supervisor once told me that I want to fix the world. I do, one research project at a time… But maybe I exaggerated with my thesis… I had heard it before: “You want to do too much”. They told me a couple of times. Ok, ok. They told me LOTS of times. I didn’t really understand it until I saw my plan written down and got scared by its monstrous dimensions. I can now accept that it encompasses too much. I do want to fix the world. But I cannot study everything right now. I have human, resource and time constraints. So I will take control and narrow down my methodology. I will fight and conquer my research. No more monsters for me. Let me explain. First, my supervisor is great. He has been able to deal with my unconventional ways (if you read my previous confessions, you will know what I am talking about!) and teach me so many things at the same time! But still, sometimes I ignore him. It took me a while to realize I had to. He tends to show me a wide range of resources, frameworks, paths I can walk on. It is my job to decide which one suits me best. Even when it is clear that he has a preference, I have to be responsible for my own study and take my own decisions, which might be in line with his ideas or not. As long as I can justify my actions, it is ok. There is more than one right way of doing research. Once my supervisor told me, “You have never asked me what to do. That would go against your nature”. He is probably right. I am very independent in my learning. However, that does not mean that I do not ask for help if I need it. It only means that I am able to set my own goals and follow them through, even if that implies ignoring my supervisor every once in a while. I love my research topics. I am really passionate about them. When I present them, I try to transmit that passion to the audience. I recently showed my flatmate some presentations I gave at a conference. I thought they were so pretty and engaging. They had colors and images. They were made in such a way that they could complement my words. There were some slides designed to make people smile… But he did not smile. He did not like them. He said my presentation was not formal and not appropriate for an academic audience. This is one of the slides I used. I think it looks pretty and interesting. Plus, I took the picture, that is my friend, and it is a couch in Freud’s house in Vienna. My flatmate argued that instead of using images of people with thinking/speaking bubbles, I should use graphs and diagrams… … It is not that I have anything in particular against graphs and diagrams. I do use them, sometimes… But I like thinking/speaking people!! 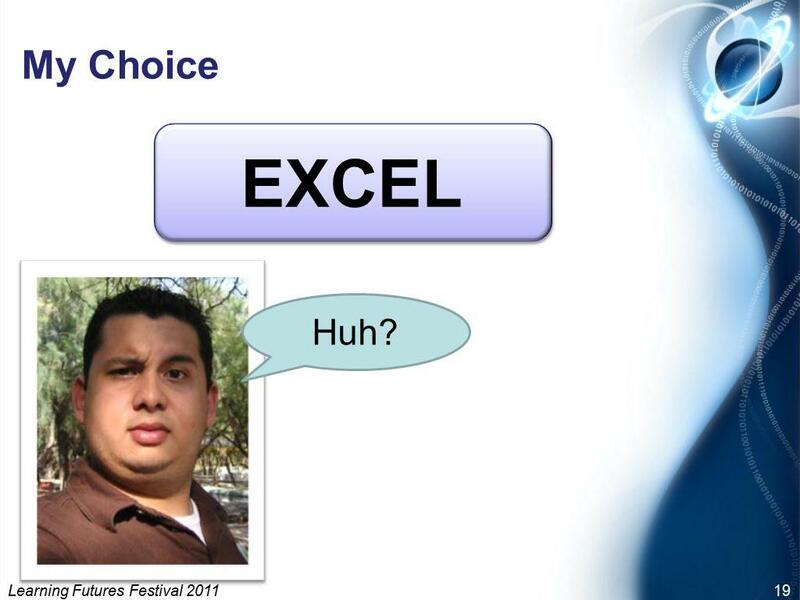 I like using humor in my academic presentations!! This is another slide I used (in a different conference). It was designed to reflect what people were probably thinking at that point of my presentation and to make them smile. That is also my friend. Are images engaging or distracting? I think it depends on how you use them. If they do not relate to your content (e.g., a gif of a dancing banana), well… I agree that they might be distracting. However, if they help you give your message in a more entertaining way, I really do not see the problem. Recently, I had to prepare a presentation about my pilot study. It took me one year to do this project, one year to obtain an adequate overview of the literature in my field, take a theoretical stance, plan my research, fulfill the ethical requirements, find a participating organization, apply the instruments, analyze the data, determine the conclusions and write it all up. During this time, I had to deal with academic and personal issues. It was a tough (but satisfying) job. Summarizing all of it to make it fit a 15-minute presentation was a tough (and not so satisfying) job. There is so much I would like to say! I read so much! I had to overcome so many challenges! I found so much interesting data! I have so many questions for future research! I know, I know. Synthetizing is a skill that all researchers should have. Not everyone in the audience is interested in all the little details. Some (most?) just want to learn the key points. I understand. I am the same when it comes to topics that do not relate to my main interests. I did manage to condense my work. I just did not like doing it. If you read my fourth confession, you will know more about my pilot study and how I did it… without really knowing what I was doing. But it was great. I’m not complaining. I have always liked to read, to learn and to question. I would rather discuss a crazy theory about the universe than talk about my day. I can stay home a Friday night just because the book I am reading is too interesting to put down. I love doing small experiments to understand how things work. During my life, more than once I have been called nerd, geek, bookworm and many others. When I was younger that used to worry me. Those names made me feel there was something wrong with me. A couple of days ago I was in the living room with my flatmate. We had both our computers on. I was sitting at the table. He was on the couch. Instead of talking, I sent him a message via Facebook… And then it hit me: I am a nerd and a geek and everything else. I actually reached this conclusion when I was in high school. The day I decided that instead of rejecting my nerdiness I would embrace it, I was happier. Later, in university, I got a group of friends that shared my craving for knowledge and my interest in studying. We called ourselves “the nerds” (“las ñoñas”). This is a brick my friends and I had engraved and put in one of the paths of my university in Mexico. 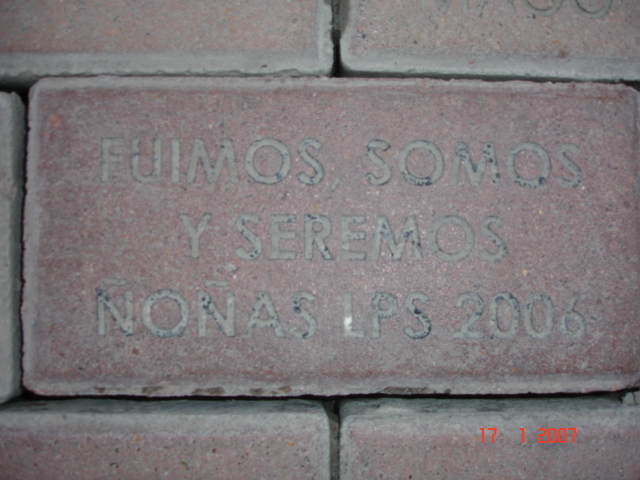 It reads “Fuimos, somos y seremos ñoñas”, meaning “We were, we are, and we will be nerds”. Now that I am doing a PhD, I think that I wouldn’t be successful if I weren’t a nerd. The word can have a negative connotation, but if it implies that I like to study and to learn, I don’t care. I love doing my research. I get excited when I discover new frameworks to guide my study. I have read lots of articles about my topic, and the more I read, the more I want to keep on reading. I am a nerd… and I am proud of it. One of the most difficult things when doing a PhD is defining the research questions. When I started my program, I had a good general idea of what I wanted to study. Narrowing that down to something researchable that can provide a significant contribution to the academic community has been a challenge. I read and read and read. I identified gaps mentioned in the literature, and I continuously questioned myself: Are those gaps worth of a PhD research? I have lots of questions and few answers. Eventually, one my supervisors suggested: Stop reading, go to the field, get your hands dirty and do your pilot study. And I did. I had read a lot, so I knew the main authors, the main theories (or so I thought). I will be honest with you: I was not really sure of what I was doing. I just did it. I was like a little bird, pushed by mamma bird out of the nest, hoping to fly and not to fall hard to the ground and die. Fortunately, I was ready to fly. Well, I had a couple of issues. I started with one idea. I had a plan for that idea. As I was going along, I had to reformulate my idea and my plan. Half-way during my data collection, I discovered a framework I liked, one that I consider worth of putting to test. To incorporate it, I modified my instruments. I was using surveys and interviews. It was too late to change the first, but I could include a couple of relevant questions in the latter. It was not too bad… Ok, it would have been better if I had had a clear theoretical stance before I started the study. But honestly, it turned out quite well. I finished it already. I prepared a report of results for the participating organization. I found some valuable information, and I improved the research questions of my main study. I did my pilot study without knowing what I was doing, but I ended up doing it well. Sometimes, when you are unsure of your steps, you just have to keep going forward, jump out of the nest, do your pilot study and hope to fly. If birds can do it, we can do it too. I used to watch Desperate Housewives and think: How can it be possible that so many misfortunes happen to these women? In every episode there is always some drama going on… But it makes sense. It is TV, not real life. In April 2010 I came to Leicester, UK, to study my PhD. In the one year I have been here, everything seems to have happened. It began with the regular changes. I moved to England and had to adapt to its culture. I had to share my space with a non-family person, learn how to cook, pay electricity bills and generally take care of a house. I also had to get used to a different educational system, without classes. Make my own rules. Manage my own progress. Meet the expectations. These changes can be stressful, but they are what international students can expect to go through. They are what I expected to go through. I also dealt with the lack of a strong social support network. Knowing people does not imply having close friends. Finding someone I can really trust and have deep conversations with is not easy. At the end of my first semester, I was lucky enough to have found a couple of people I could really relate to. I had a group, small but great. They were not simple acquaintances; they were my friends. Most of them are now gone. They went back to their respective home countries. I am getting used to feeling lonely. Then, war exploded in my country. While fortunately my friends and family have been safe so far, I cannot avoid feeling a bit anxious every time I hear about robberies, murders, shootings, kidnappings, extortions and other terrible things that are happening in my city. During the summer 2010, I went back home for the holidays. I thought it would be a chance to relax and charge my batteries… and it was, kind of. I arrived just after a hurricane had hit my city. The destruction was impressive. We did not have water at my house for nine days. I had to help gathering rain water to cover basic needs. I loved seeing my friends and family, but I did not feel so rested when I returned to Leicester. So, in just one year, I have had to deal with a new culture, loneliness, war, a natural disaster, two deaths and sickness. And I have not talked about my personal life yet! I have had emotionally exhausting flat issues and more than one love-related drama. Now imagine going through all of this while trying to do a PhD. I confess: Life has got in my way. Sometimes it is hard to focus on my studies when so many other things are happening and calling for my attention. Read, write, analyze, interview, transcribe, code… Focus! At some point, I could not take it anymore. I got sick. I think that was my body saying: Please, stop the stress. I felt I was a damaged dam. Water was starting to leak. I had two options. I could stop everything, analyze the damage and fix it. Or, I could go on, keep putting pressure, and risk dealing with a potential disaster. So I stopped everything, took some time off and found a way to relax. Now life drama is out of my way, and my PhD is back on track.